Times Square, New York City, 16×20 in. 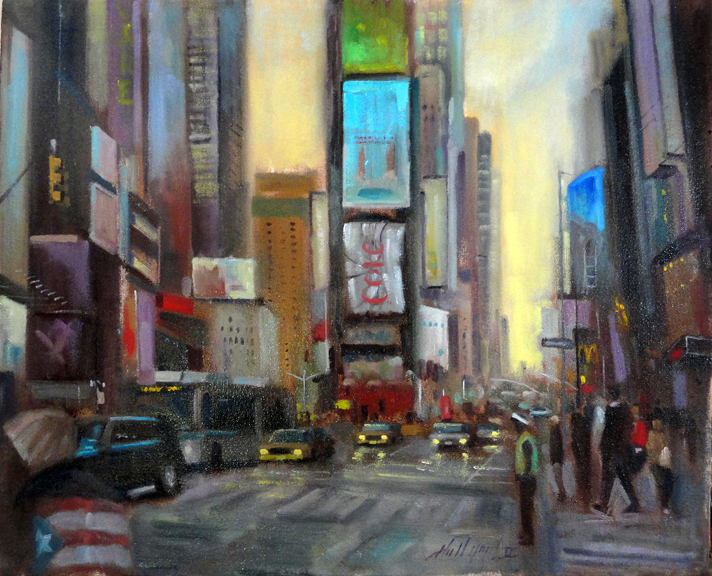 This piece is a dramatic scene of Times Square in New York during November of 2012. It’s painted from direct observation in a classical style in violet, yellow, red, gold, orange, gray, umber and blue tones.